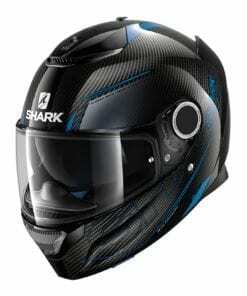 The Shark D-Skwal has Shark’s Auto seal visor mechanism, which provides an excellent seal with the rubber surround, to keep both sound and water out. 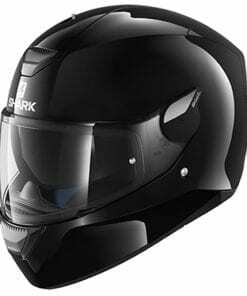 The clear visor accommodates a Pinlock anti-fog insert, so it won’t fog, even when it’s cold and wet. 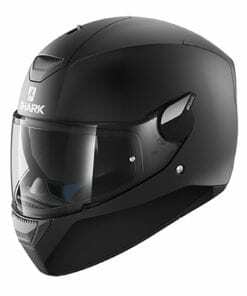 The Shark D-Skwal also has an internal, retractable sun visor, to help you deal with sun glare, especially helpful when the sun is low in the sky. 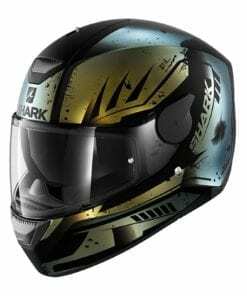 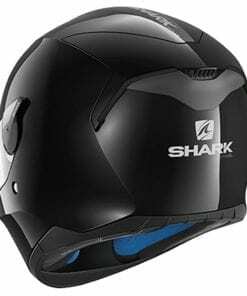 The Shark D-Skwal helmet weighs 1450g, is prepared for Sharktooth (Shark’s wireless intercom system) and features Easyfit, making it possible for you to comfortably wear glasses with this helmet.